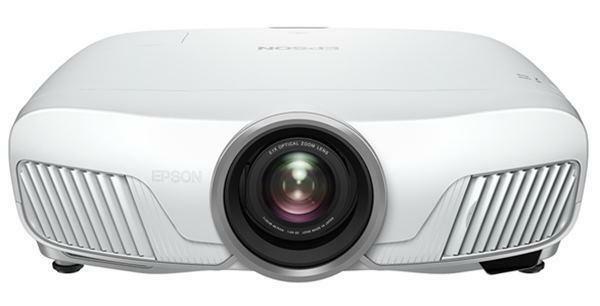 Joining the ranks of very small portable projectors comes the new Viewsonic PJD2121 (street prices under $500). If the LG HS200 can be considered a jack-of-all-trades then the PJD2121 is a master of one. From its "Off-to-Go" feature to the optional WPG-350 wireless presentation gateway (an extra $200 or so), there is no doubt; this projector was made for presenters on the go. Image Quality: Viewsonic's newest portable does not disappoint. With its 5-segment color wheel, 400 ANSI lumens, and a 1,800:1 contrast ratio, it produced a beguiling image in video mode, especially for a data projector. Color saturation was excellent when displaying animation and CAD renderings. On video and photographs, it delivered very natural color tones and hues. Graphics were presented with high definition and sharpness. It also produced tremendous punch on a 90-inch screen in dim light, exceeding what would normally be expected from its 400 ANSI lumen rating. In areas where there is more ambient light, you will need to switch to VGA mode and reduce your screen size to a maximum of 60 inches to retain similar impact. Easy to operate: When using the PJD2121 think K.I.S.S. (keep it simple s...) Viewsonic really put some thought into this aspect of their design, creating a very simple user interface. Its remote control is well laid out and allows access to all primary functions with ease. If I had one wish, it would be backlit buttons. Its on screen menu was elementary and a breeze to understand. The quick keys also worked intuitively, blank mode, source switching and in particular their ViewMatch™ which allows for optimal color adjustments on the fly. "Off to go": This feature permits the presenter to unplug, pack up the projector and leave, without the typical cool-down period and no risk of damage to the lamp. Optional WPG-350 wireless gateway: Our test unit did not come with this option, so I was not able to test it. It allows the user to go wireless with this or any other projector or display via a VGA output. It also comes with audio outputs that are indispensable since the PJD2121 doesn't have any. It allows up to four presenters to connect simultaneously. The option is available at an extra $199. Short throw lens: Like most projectors in its class, the PJD2121 comes with a fixed focal length and no lens shift capability. So the distance between lens and screen determines image size. The great news is that it comes equipped with a short throw 1:1x lens allowing for very close proximity to the screen. More good news is it doesn't suffer from as much inconsistent brightness that often plagues short throw projectors. To produce a 90-inch diagonal image, lens to screen distance was only 5 ft 9 inches. This is advantageous in smaller venues for which this projector was intended. Since there is no receptacle for a tripod this unit is relegated to tabletop installations. This projector has an offset of around 125%, with the projector flat on a conference table, the bottom edge of the projected image will be a bit higher then the height of the table. It also comes with an adjustable leg and keystone correction should you require the image to be elevated. Low maintenance: Like many DLP projectors this has a filter-free design, so there is no need to worry about periodic filter cleaning or replacement. Security: The unit comes with a Kensington security system connector, which is handy in the event you need to leave the projector unattended.